So, depending on the level of money you wish to spend, feel free to skip to whatever part you feel will interest you the most. Please be aware also that guide prices can only be submitted at the time of this review as prices can change depending on local discount activities so please make sure to view the price checkers provided below to ensure you have the most up to date accurate price information. In addition, we will outline all the main pros and cons that you need to be aware of for each model and also a summary comparison table to help you make your final decision. At the end of this page, we also provide additional price comparison options that you can also check out if you wish to look further and compare prices elsewhere. Upper Deck Size: 55" by 20" 49" by 22" 33" by 35"
Upper Deck Size: 30" by 30" 40" by 40" 60" by 60"
Max weight Capacity: 1050Ibs 1200Ibs 1350 lbs. 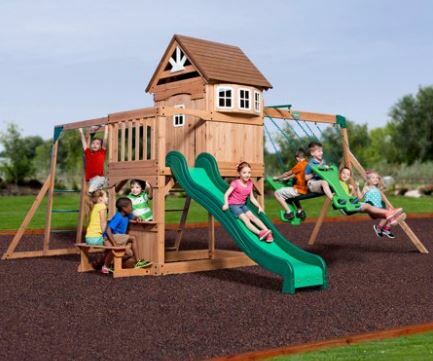 Treatment allows it to be naturally resistant to bugs, termites, mold and decay. You should perform monthly maintenance check-ups on bolts, plastic and wood parts to ensure they remain lock tight and solid. Effective maintenance instructions are also included in the Backyard Discovery pack to help it last longer so please ensure you read this carefully and keep it in a safe place. Please ensure you add a wood protective sealant once assembled for added protection against the weather. 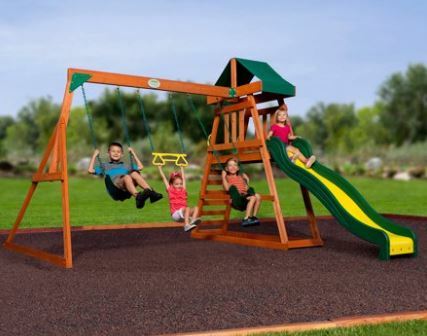 If you wish, you can also take a closer look at the Backyard Discovery Tucson Review and the Backyard Discovery Monticello review here which give more detail on these 2 particular models of Swing sets. 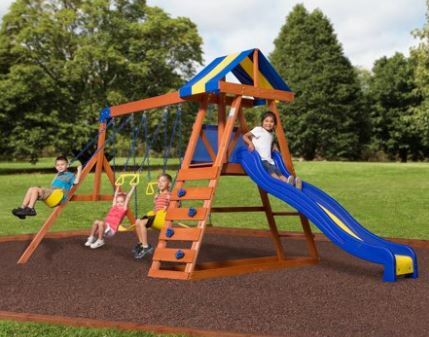 Have you or your kids any personal experience with the Backyard Discovery All Cedar Wood Swing Sets in the past? If so, then please share your thoughts and feedback with the wider community by leaving a comment in the comment section below – So that they can learn also! 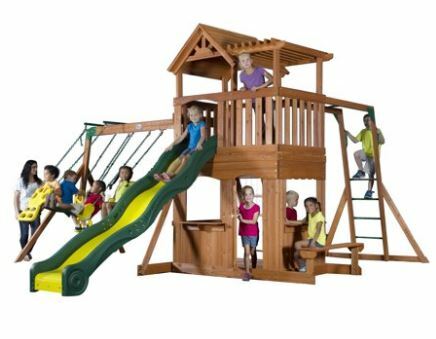 Posted in Swing Set Reviews and tagged Backyard Discovery Dayton Cedar Wooden Swing Set review, Backyard Discovery Playset reviews, Backyard Discovery Prescott swing set review, Backyard Discovery reviews, Backyard Discovery Swing Review, Backyard Discovery Swing set review, Backyard Discovery swing set Reviews, Backyard Discovery Tucson swing set review. 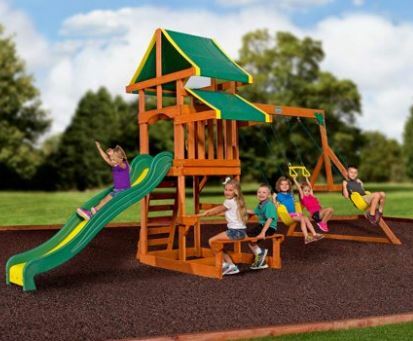 Thanks for your great overall review about the Backyard Discovery playsets, a lot more useful to have several models under the one review and much quicker also. 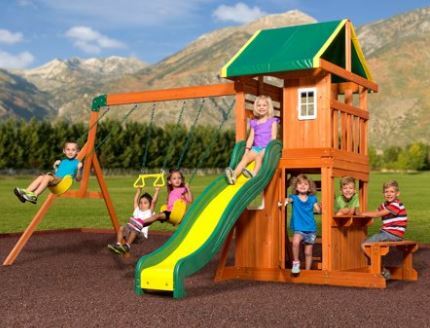 I really like the swings sets selected here especially the lower priced ones such as the Dayton and Tucson as I am looking for a bargain for 2 kids aged between 5 and 8. I know my kids will love them as well. 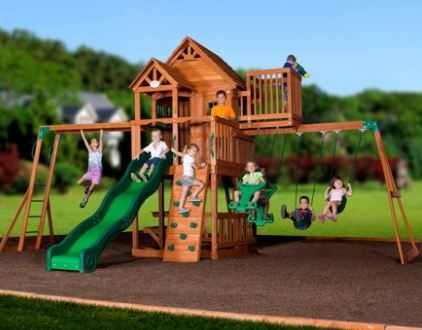 We do have a huge backyard and I plan to install a swing set for the kids. I would be nervous about the install though, would we be able to assemble it properly as they look quite big. 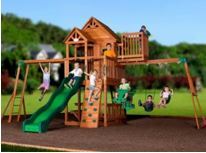 Thanks for putting together this Backyard Discovery review guide together, must easier to view several reviews under one page I must say ! 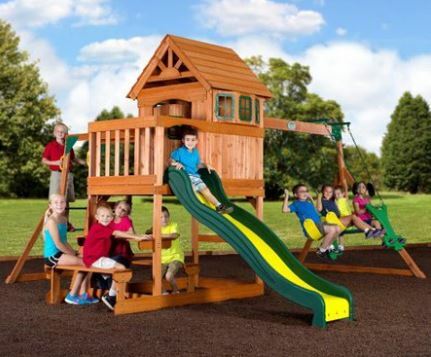 I like how you’ve included images within the pros and cons and the product descriptions; it really helps with visualizing and understanding the pros and cons in a practical way and I have been undecided which model to go with – the kids want the Thunder ridge or the Skyfort but I really can only afford the Dayton or the Tucson. One of the best reviews my wife and I have seen so cheers for your work of reviewing so many of them – makes our job of selection a lot easier! Thanks again! You are very welcome and I hope you family enjoys it for many years to come – take care! 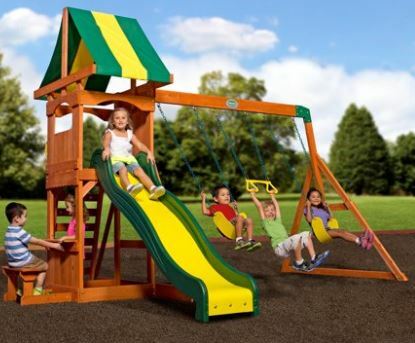 I love these swingsets and have been considering purchasing for my grand kids to enjoy when they visit. I can remember growing up loving these sets. My only concern is the wood rot. I see the wood has a 5 year warranty. I live in Florida where we get rain almost daily (not necessary a lot) and it is humid here. How long can the wood possibly last? Is there something you can put on as a protectant to keep the wood from rotting? Yes, you should always apply a wood sealant and preservative to protect it against the weather. This can be applied annually and takes only 15 minutes work. A maintenance guide is also included when delivered so you should keep this in a safe place. Thanks for taking the time to stop by and I hope your grandchildren enjoy their visits even more now!